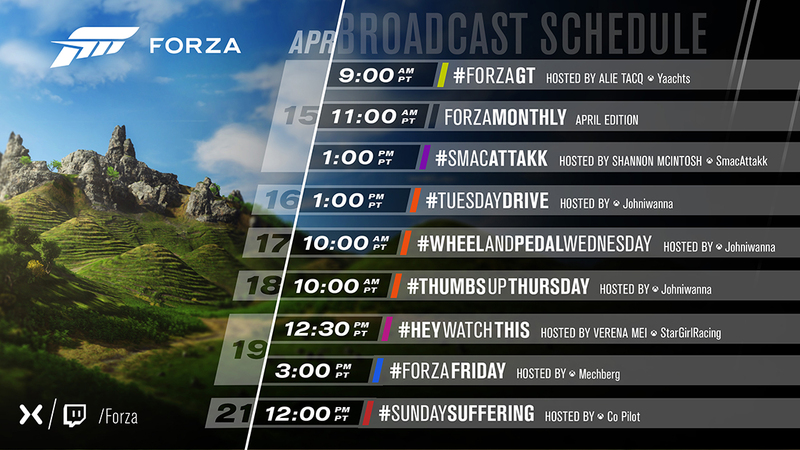 After a week of spring break in sunny southern California, Your Humble Community Manager is rested and ready to recap another week of Forza news. From the latest update for Forza Horizon 4 to the launch of the first Forza Race Regulations public beta, plus Monday’s April edition of “Forza Monthly,” it’s busy around these parts, so let’s jump right in! You’ve been asking for it and now it’s finally here – the first public beta hopper featuring Forza Race Regulations (FRR) is now officially open and available in Forza Motorsport 7. This feature is the result of a lot of ongoing work within Turn 10 and we’re happy that we can share this first public iteration with the Forza Community as we continue to evolve FRR in the future. You can find the FRR hopper by heading to Multiplayer in Forza Motorsport 7 and navigating to the “Forza Race Regulations Cycled Production – Beta” hopper. 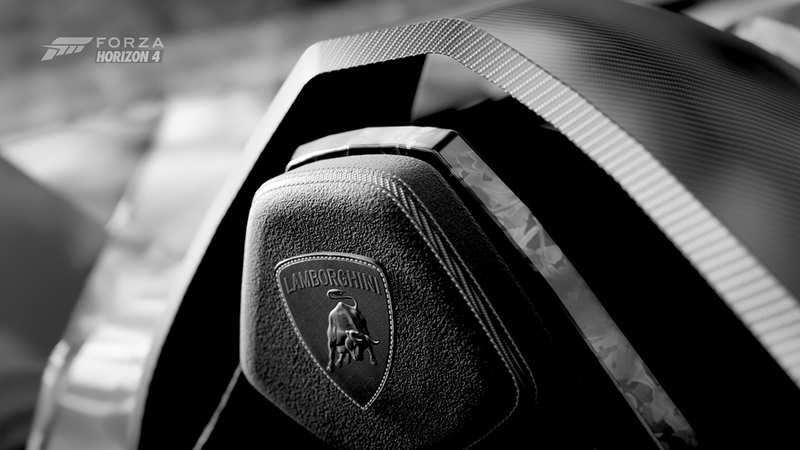 Forza weekly photo contest winner by Pebb. The current iteration of FRR focuses on detecting when a driver is going off track. The AIA calculates whether the driver gained any advantage and administers a time penalty, if applicable. The race HUD informs the player of any incurred penalty time and for which type of infraction (once again, this is currently only track cutting). Aside from their own total penalty time, players can also see opponents' penalty times in the mini leaderboard during the race. Penalties do not affect a player’s placement during the race; these adjustments happen once the race is complete. After the race is over, players can see the event results screen showing their race time, number of penalties applied, penalty time accrued, and the total of race time and penalty time. The placement in the event results screen is affected by the penalty time. Currently, neither rewards nor the following race’s grid placements are affected by FRR penalties. These features will be coming in a future iteration of FRR. Also, we have removed the anti-cheat tire walls in FRR-enabled lobby races but these tire walls will still appear in non-FRR-enabled lobbies. 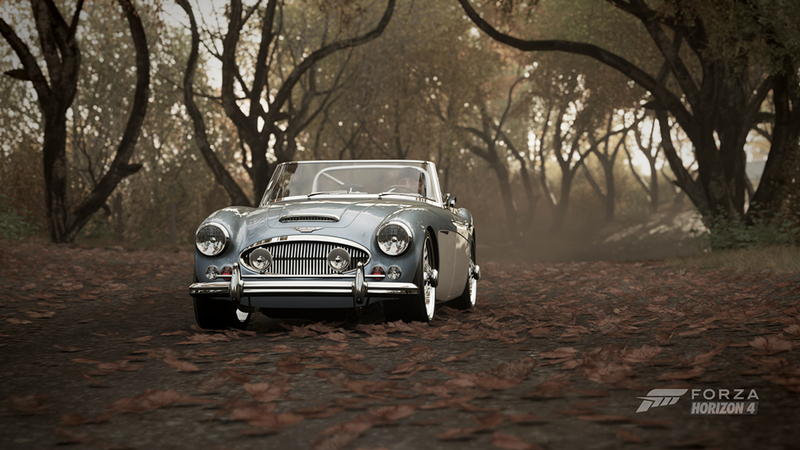 Forza weekly photo contest winner by RUK72. Now that the FRR public beta is open, we are inviting players to give us feedback on their experiences with the feature. To do so, we have two spots we want to point you to: the Forza Forums and our official Discord server. While we invite FRR discussion with other players on both the forums and Discord, if you have specific feedback for the Turn 10 developers about your experience or if you have suggestions about FRR, please post it in this thread on the Forza Forums. As always, please keep your feedback polite and constructive. As we’ve said in the past, the Forza Race Regulations feature is in continued development at Turn 10, and players can expect more updates in May and beyond for the FRR feature set. Look for more details on all these updates in the future. The Series 8 update for Forza Horizon 4 is here. Playground Games poured lots of love into this update, apparent both for things they added as well as for a few things that were removed from the game. 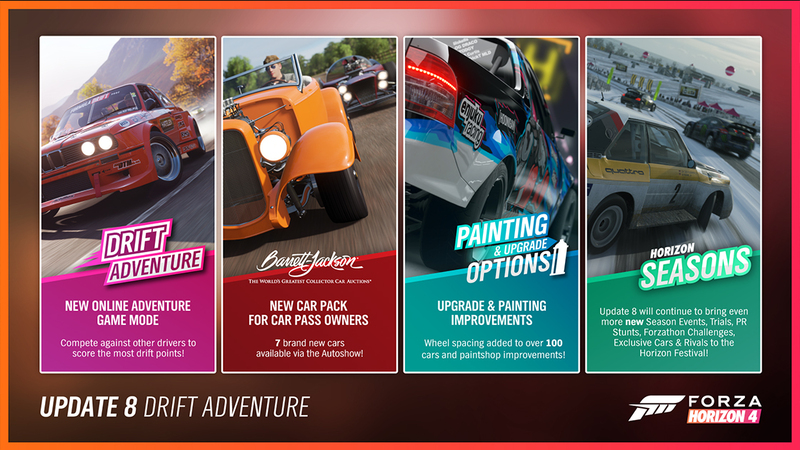 On the additions side, new features like layer masking for the livery editor are a big plus for painters, drifters are loving the new Drift Adventure and Drift Cockpit camera, and practically everyone can find something to like in the Barrett-Jackson cars, which have made their way over from Forza 7 into Forza Horizon 4 for Car Pass owners. A new update also means a new Festival Playlists for each season of this series, along with some awesome cars to earn, including the 2012 Ferrari 599XX Evolution, the 2011 Hot Wheels Bone Shaker, and more. For a rundown of all the cars available in Series 8, check out our story here on FM.net. 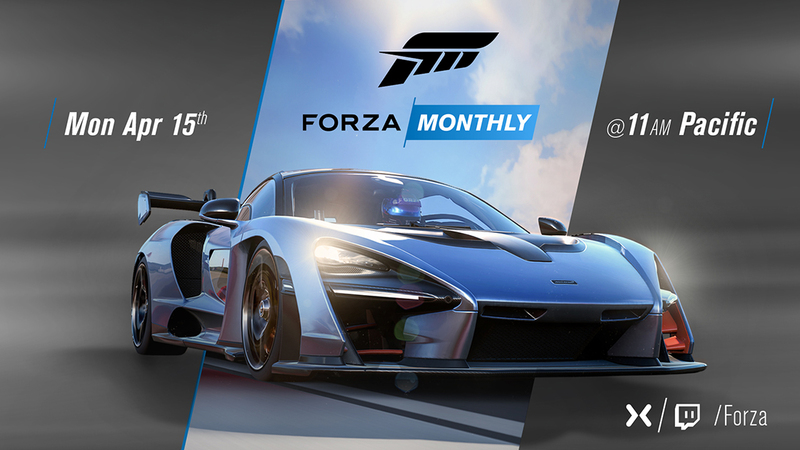 The next edition of “Forza Monthly” arrives on Monday, April 15 and we’ve got a fun show planned for you. We’ll be recapping the latest updates for Forza Horizon 4 and Forza Motorsport 7 with guests from both Playground Games and Turn 10, and welcoming Formula Drift driver Vaughn Gittin Jr. to the show to talk about his latest projects, the Formula D season, and drifting in Forza from the perspective of a pro. The show kicks off on Monday starting at 11 a.m. Pacific, so don’t miss it! On today’s episode of #ForzaFriday we’ll be joined by Turn 10’s Andy Beaudoin, talking about his career in the games industry and the work he’s done here at Turn 10 as a design director. The show starts at 3 p.m. Pacific on the Forza Mixer and Twitch channels.